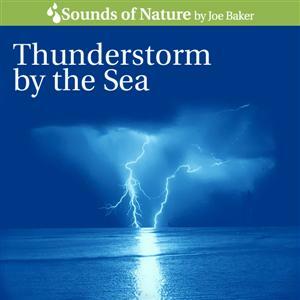 This album features the sound of a thunderstorm by the ocean shore. It’s the perfect amalgamation of two of nature’s most soothing sounds: rain and ocean surf. You hear ocean waves, rain, and periodic thunder. There are no extraneous sounds, bird sounds, or music. This is one long track - 73 continuous minutes. A fade in at the start and fade out at the end allows smooth continuous repeat play. The audio quality is stunning.